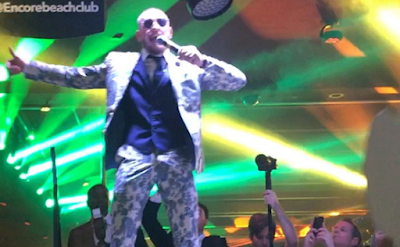 Conor McGregor Parties Hard After Fight, You Would Have Thought He Won!!! Conor McGregor may have lost the fight, but he was a champ at Encore Beach Club at Night in Vegas shortly after the awesome battle in the ring. Truth be told, it was something of a victory for Conor to go 10 rounds with Floyd, and it's pretty clear the crowd also saw it that way. Conor danced to Biggie's "Juicy" and Fat Joe's "All the Way Up" to also see himself as a cham!